This thread has some interesting discussion relevant to TC. Governance and why a registry alone is insufficient. 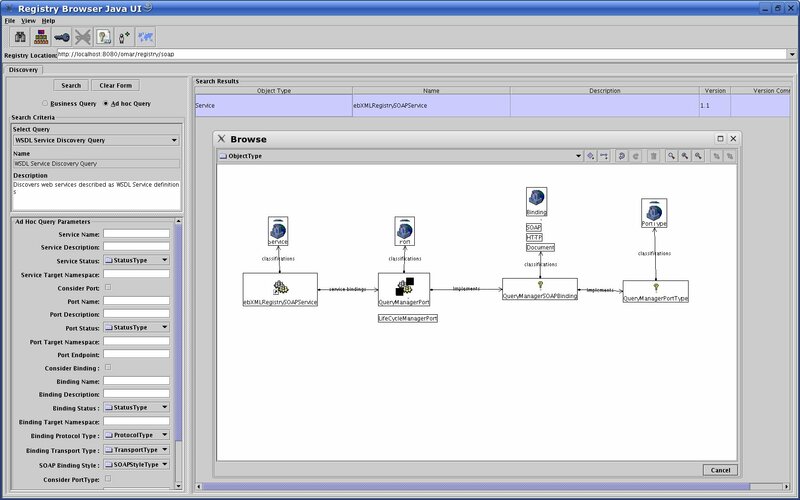 how the WSDL discovery query may be used by the user. Thanks Farrukh. I'll take a look at the profile in the next day or so. It would be very valuable to get your feedback on this draft spec. In particular I am interested in holes in the spec, use cases that it does not currently handle as well as how it compares functionality and use case wise with the UDDI TN on publishing WSDL. Thanks in advance for your help. Can you tell me -- does it work if you aren't storing the WSDL in the repository? In other words, can you simply register the WSDL? 90% of the functionality works the same when you aren't storing the WSDL in the repository. This includes the content validation, content cataloging and its automated mapping from WSDL to ebXML Registry metadata, the WSDL artifact discovery queries. What does *not* work the same is access control policy enforcement, lifecycle management, automatic versioning features with respect to the *WSDL content*. This is because one cannot enforce such governance policies on WSDL documents unless the registry-repository can intercept all access to the WSDL content. This difference is the crux of the argument a few of us have been making that a repository integrated with the registry is key to governance of SOA and other artifacts. That said, the ebXML Registry standard recognized that the whole world's information cannot be in its repository. While there are trade off in whether to store WSDL in the repository or store it externally, ultimately the choice is left to the deployment and its policies. updated TN for UDDI v3. within an OASIS spec, profile, or is it product-specific? This document provides a normative profile specification for publishing, management, governance, discovery and reuse of Web Services descriptions within an ebXML Registry. and then browsed and drilled down upon. all XML, SOAP, XML Digital Signatures details from the client. 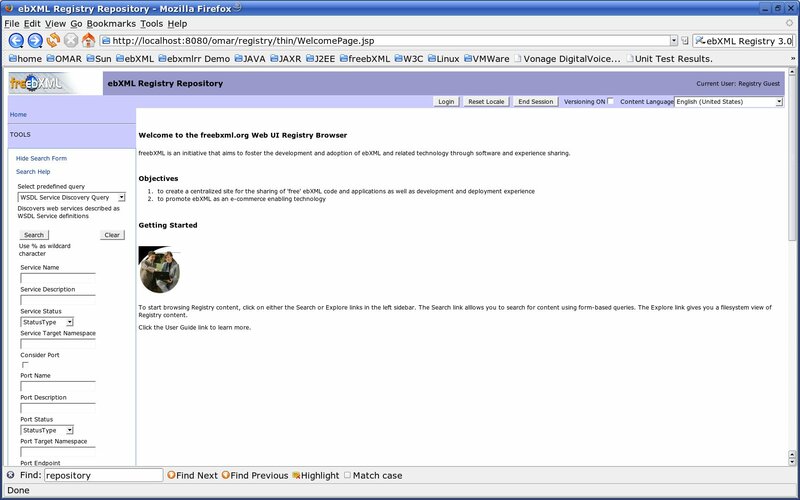 This Web UI also uses JAXR API to access the ebXML Registry. objects that it uses in its implementation. the said complexity using stored parameterized queries. protocols. The WSDL Cataloging service does all the magic. which should start appearing soon. Technical Committee finales and approves it. My best guess is that it will go final in the next 2 months. interested in your impressions on how that compares with the ebXML Registry Profile for Web Service. Visit your group "service-orientated-architecture " on the web. Visit your group "service-orientated-architecture" on the web.